At Porsche of the Village, we think you deserve a great Porsche Experience when buying a new Porsche, a pre-owned Porsche, or servicing your car. As one of the Porsche Dealership in Cincinnati, we’re here to help you find the perfect new or used Porsche. Conveniently located on Plainville Rd. – just east of I-71, Mariemont, OH and just north of Northern Kentucky towns of Newport, Covington, and Fort Thomas. Shop our inventory of New 2017-2018 Porsche Cars For Sale in Cincinnati. Envision yourself driving along the Ohio River passing the Cincinnati horizon in your new 2017 or 2018 Porsche, including models like the Porsche Macan, Cayman, Boxster, Cayenne, 911, Panamera, and more. We invite you to visit our Porsche showroom in Cincinnati to experience the new Porsche models for yourself. 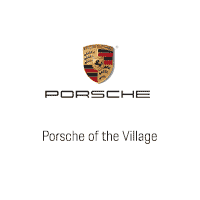 Porsche of the Village offers an exclusive 70 car plus indoor showroom that protects your vehicle from the outside elements keeping it in perfect condition until the day you drive it. Our Dealership offers a personalized delivery room that allows us to give you detailed attention. Our Sales Department is open Monday thru Saturday for your convenience. We also have two luxurious separate customer lounges that offer free wifi, free refreshments including Starbucks coffee, bottled water, tea, & hot chocolate. Our indoor showroom is climate controlled with high-intensity light for better vehicle viewing. Convenient Location – To visit our dealership, check our Contact Us page – we would like to meet you in person and help you with your car ownership needs. Our dealership is conveniently located and worth the drive. I have been going to the service department for a year and a half since this is my nearest dealership and I can say with great pride that the Porsche team exceeds expectations. Very honest in their work, courteous and will not make you do unnecessary repairs. I love working with David, Michael and Chris or anyone for that matter but this team has had a tremendous impact on Porsche customer service. No matter where I am, I will buy my next Porsche from this dealership. Timely service. Reasonable prices and everyone was super friendly and accomodating.